I promise you'll be glad - no, make that ecstatic - that you did. A few years ago, I was part of a little something called The Secret - the book and film that awakened the world to the Law of Attraction. Things that didn't seem to be there just moments before- a car you've always wanted to own, the amount of money you needed to afford a vacation or pay a bill, the perfect job opportunity- will suddenly be visible to you. By switching paradigms, you set off a kind of "trigger" that activates the law I mentioned earlier- the extraordinary LAW OF CREATION. Now you can see everything. It's even more amazing than you'd thought. Filled with gifts and opportunities you couldn't see before, possibilities you'd never dreamed of! A whole world of riches- and there's nothing separating you from it any more. You're in the middle of it, surrounded by it everywhere you look. The negative programming, limiting beliefs, and false ideas that keep you stuck in a scarcity paradigm will be erased - completely swept away - and replaced with the elements that form a paradigm of abundance. from Attracting to CREATING... in Just 30 DAYS. P.S. How easy is it to change your paradigm from scarcity to abundance? How easy is it to unleash the Law of Creation? It couldn't be any easier! I've designed it to work on levels below the conscious mind, to affect deep inner change just by listening to my voice. That's right! All you have to do listen. Click on the link below now, listen to it, and find out for yourself! I'm ready to receive total abundance - here and now! 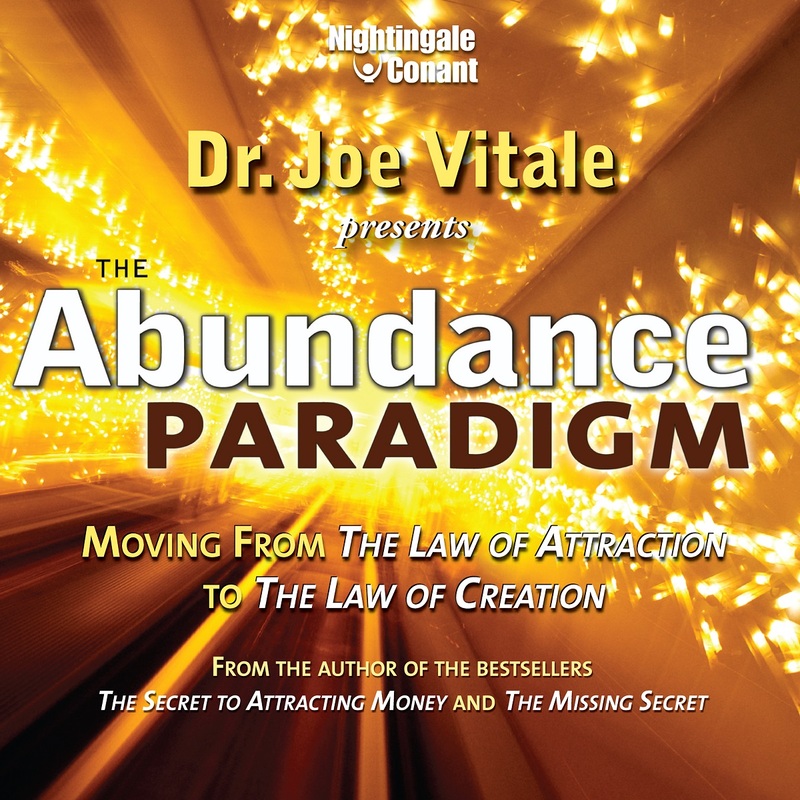 Please send me Dr. Joe Vitale's audio program The Abundance Paradigm, at the special price below. - I can select one of two ways of ordering.